books | Thots and Expressions..
Posted by Afrozy Ara in Classics, Mumbo Jumbo, Non Fiction, Sci-Fi. Yes, I love reading fiction!. And what makes it awesome are people I meet as I journey through these novels. Breathing life into stories are protagonists woven out of their authors’ imaginations, characters with their own quirks and idiosyncrasies. They capture your attention, invite you to live their lives, and amaze you with the surprises they hold! Yeah, topping this list is Catherine Earnshaw from “Wuthering Heights” by Emile Bronte. 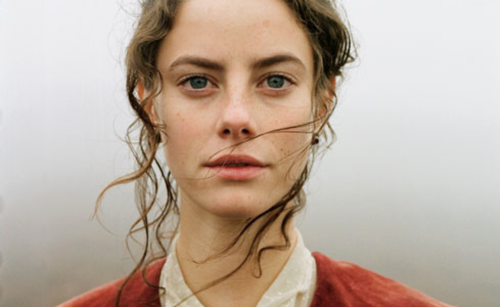 I first read Wuthering Heights when I was thirteen (and I’ve read it over and over again!). It is an amazing story of unfulfilled love, an all-consuming romantic passion, alarming you with the violence of emotions and the scary dark shades of the characters. No wonder, the scenes of the novel struck in my mind forever. The desolate moors, the ghostly visage of Heathcliff and Catherine. If there was one book that made the most vivid impression on me in my childhood, then it was this one. And I can never forget the introduction to Catherine in the movie, where she wails on the window as a ghost, pleading to come in. And as you read further, her character gets even more unforgettable. My memory of her is still fresh: her cruel yet loving nature, her tempestuous character with a ferocity and depth of passion which will singe you. And the haunting description of Catherine in rage- her hair flying over her shoulders, her eyes flashing.. She has some passion within her that drives the whole story forward, and even after her death, Catherine is an overpowering presence in the events that follow. Yet, beneath the meanness and tragedy, there was a certain grace about his character. The grace with which he went around making Potter’s life miserable ( while saving his life), taking sides with the Death Eaters, getting killed by Voldemort, and finally redeeming himself with his memory. 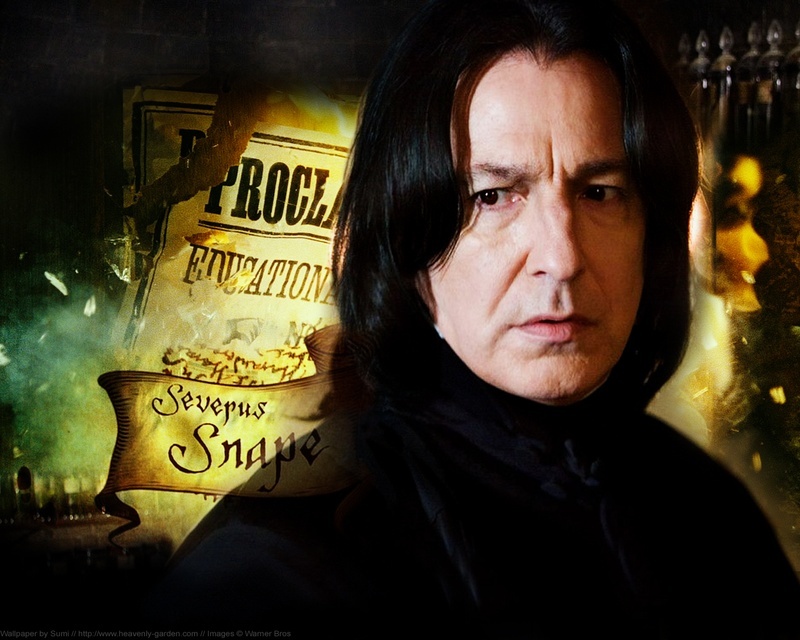 Snape was indeed the most heroic and misunderstood character of J K Rowling’s master creation. His presence made the whole story volatile and interesting, and I have to give him full marks for that! Fountainhead was the first Ayn Rand book that I had read, sometime while pursuing graduation. And it sort of zapped me, in some magic spell. 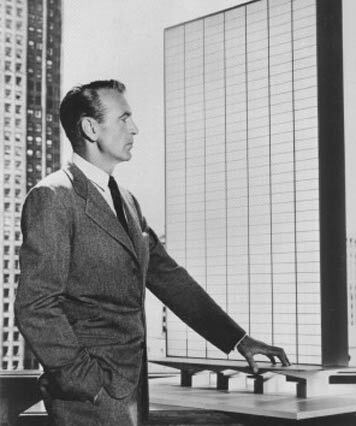 Howard Roark was like some weird perfect human being from another planet. Out of the world, he could as well have been an alien from Proxima Centauri!!. And the way Rand crafted her character made him an unforgettable hero in my memory. Not that I am a big fan of the one-sided capitalistic abracadabra that Rand propagated in all her books, yet she made a grand entry and left a gaping impression with Roark. The first scene of Fountainhead completely defines him. 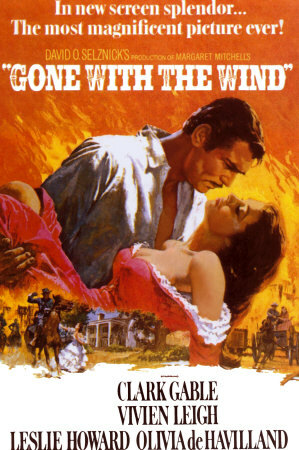 Standing at the edge of the cliff, confident in his skin – Howard Roark laughed. Like some sort of God mocking at the trivialities of humankind. Like an insubordinate spirit walking the earth. “High cheekbones over gaunt, hollow cheeks; gray eyes, cold and steady; a contemptuous mouth, shut tight, the mouth of an executioner or a saint.”!! Howard Roark is the mouthpiece of Ayn Rand philosophies, which actually inspire a cult-like devotion because they are so powerful (Remember the long speech in the last chapter!). And like all impressionable minds awed by her dazzling philosophy, I was also swept away. It took me 3-4 years to real life to be pushed out of the haze of Rand’s Objectivist propaganda! Oh, how can I forget this one – the English TV series so vividly colours my imagination of him! 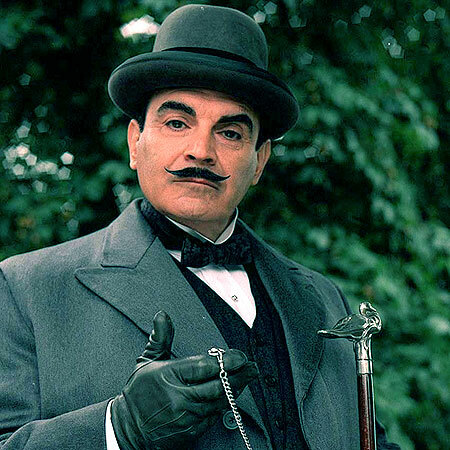 Hercule Poirot is the moustache obsessed Belgian detective with an egg shaped head and a sensitive stomach. I loved the way he tapped his forehead beckoning his grey cells – “This affair must all be unravelled from within. These little grey cells. It is ‘up to them’ — as you say over here”. And he has style. Unlike Sherlock Holmes, the mystery didn’t unravel itself by magic in the end. Poirot will throw clues here and there ( master of deception that he is) keeping you guessing on an entirely different track. And with a flourish, exclaim “I did not deceive you, mon ami. At most, I permitted you to deceive yourself.” !! There was a time in my life when I lived off Agatha Christie Novels. There were around 30 in the school library, and I devoured every one of them, by hook or by crook. And it all seemed so real, so striking at that age; the drama and flourish with which he uncovered mysteries, removing his pince-nez glasses for impact. Well, Christie was a ruthless story teller ; she didn’t even spare her star detective- Poirot was forced to become a murderer himself in “Curtain: Poirot’s Last Case”, and was killed off by her at the end of the novel. Times have changed. We hardly have the patience to read these long winded Agatha Christie style stories now – I don’t have the patience to read one again myself. But they were wonderful companions at that age when we didn’t have many options, and the school library stocked loads of them! Ending with a thought : “Imagination and fiction make up more than three-quarters of our real life”. Maybe that’s why these characters keep coming back to me, and that’s what makes them unforgettable! Posted by Afrozy Ara in Book Reviews, Fantasy Fiction, Sci-Fi. 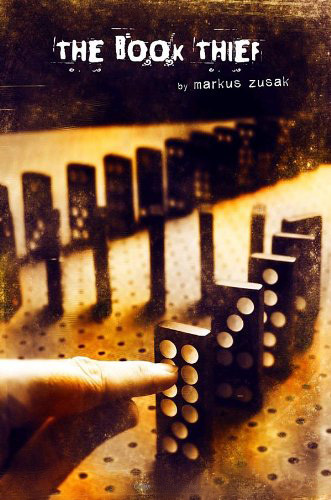 So now that I am on a book reading spree, the theme of this week was the Hunger Games Trilogy by Suzanne Collins. Frankly, I would have never stumbled on these books if it was not for the recently released movie with the same name. And, when there is an option for watching the movie or reading the book, I usually go for the latter because the movie somehow never seems capable of capturing the depth of emotions that a book usually does!.. Set in the fictional world of Panem, the hunger games is a twisted tale of struggle, war, love and government control; spanning across 3 books “The Hunger Games”, “Catching Fire” and “Mockingjay”. Panem is a post-apocalyptic war ravaged world where the districts are impoverished; food is scarce and the Capitol, a seat of power rules the 12 districts with a firm hand. Every year, the Capitol conducts the Hunger games as a show of its power and superiority. One boy and girl will be chosen in a reaping ceremony from every district, for a fight unto death in the Hunger Games Arena. There can only be one survivor0, and the rewards for his/ her victory will be shared by the whole district. The Games are the Capitol’s way of entertaining its residents, and showcasing it’s superiority over the districts. An unabashed parade to remind the districts how powerless they are if they ever revolt against the Capitol!. The story revolves around Katniss Everdeen, a sixteen year old girl who volunteers to take the place of her younger sister in the reaping ceremony of District 12. It is a chronicle of her anger, defiance, fears and apprehensions. A tale of how she incites a revolution in the repressed country of Panem. How she eventually brings it out of the shackles of mindless dictatorship. It has all the elements of teenage heroism which is characteristic of this genre.- a barefaced disregard for authority, a low self-esteem, a fierce loyalty towards loved ones, the self-sacrificing spirit. Katniss Everdeen is all that! There is bit of a love triangle in the story, but that is overshadowed by much bigger themes. 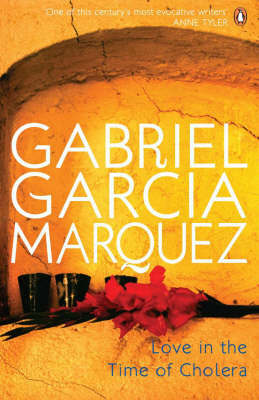 Though a bit too dark for this genre; nevertheless an interesting book. 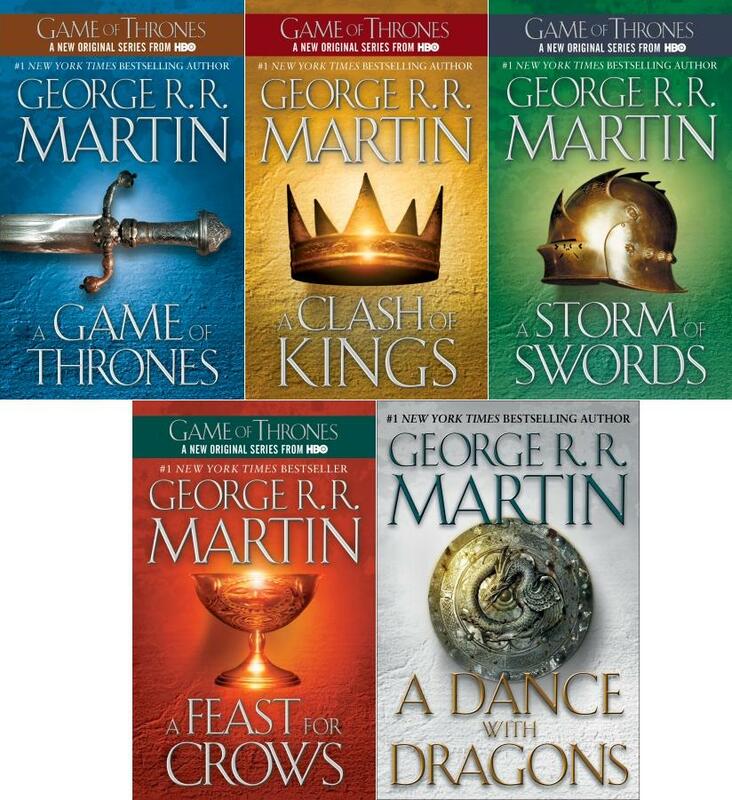 The story is sometimes too simplistic and naive for grown up readers, but makes up for it with its fast moving plot and the ability to capture the attention of readers throughout the 3 books of the series. It is an easy read, and a good way to wind up on your weekend. I think I’ve read a bit too many of these dystopic world books. Need something cheerful for the next weekend. Any suggestions?